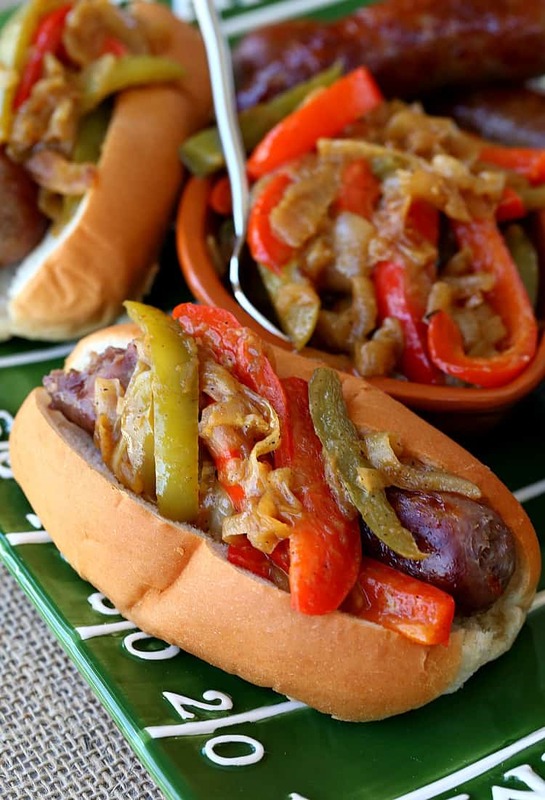 Grill up these German Style Sausage and Peppers for the big game this weekend or any night for dinner! 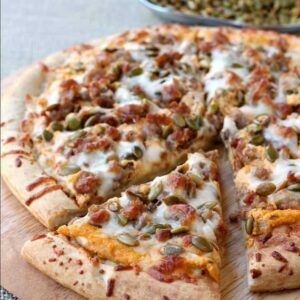 This recipe is so easy, it’s perfect for parties and busy dinner nights! I can tell you one thing for sure, I’m not going to be outside grilling anything this weekend. We’re looking at freezing cold temperatures for the big game this weekend, possibly even record setting. Nothing is going to pull me away from my chair in front of the television in my nice warm house. But that doesn’t mean we still can’t have all the food we love! 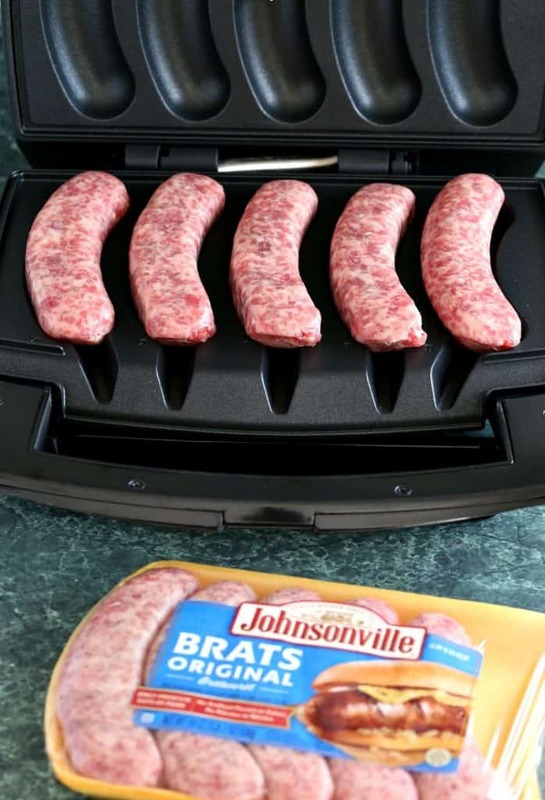 I just found this Johnsonville Sizzling Sausage Grill the other day and I’m so glad I did. 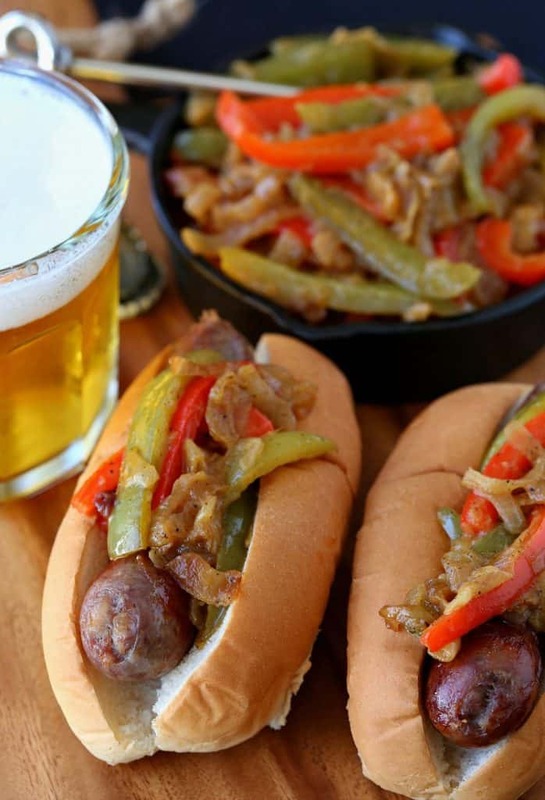 It cooks up sausage or bratwurst perfectly in only 15 minutes. And no sitting outside next to the grill when it’s 10 degrees. 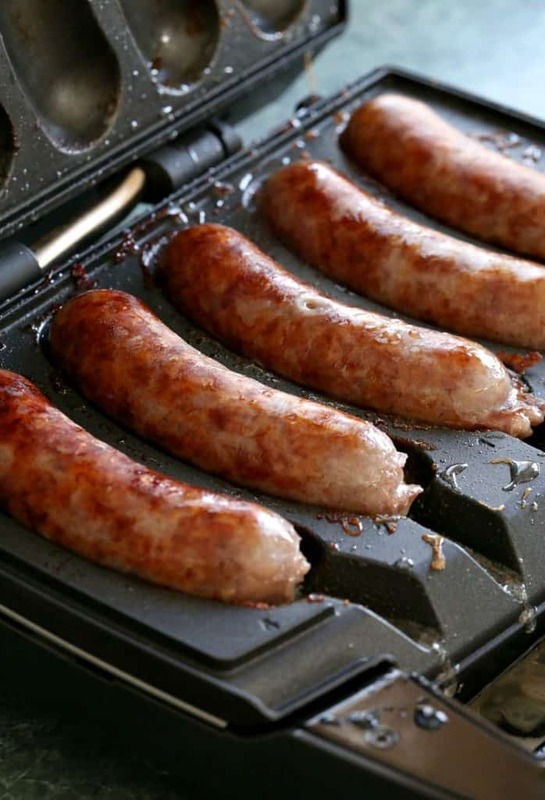 This grill is so cool though, you can cook 1 sausage if that’s all you need or 5 at a time and they cook so quickly they’ll stay warm covered in foil while you do the next batch if you need more. Since it’s a big game day this weekend – we need more. The other thing that’s so great about this grill is that it pretty much cooks the sausages itself. Just turn it on and it beeps when it’s done…so you’re not going to miss any big plays while your dinner is cooking away. 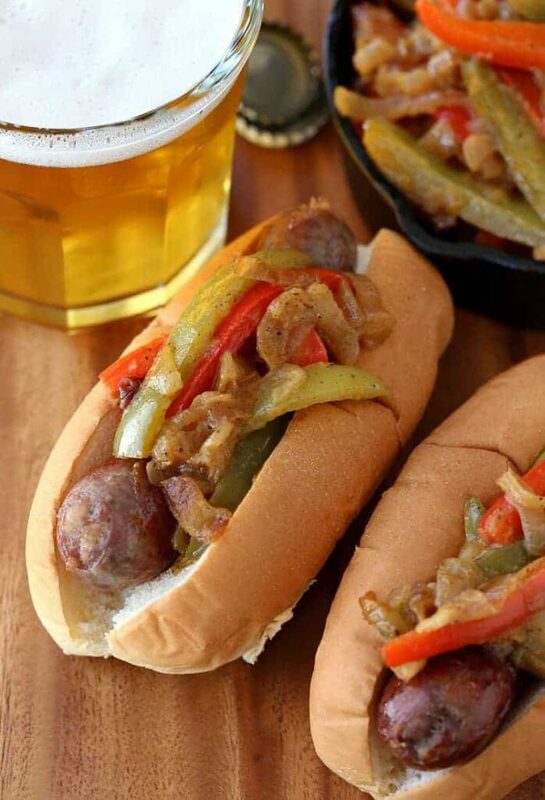 I came up with a twist on Sausage and Peppers and made these German Style Sausage and Peppers instead. 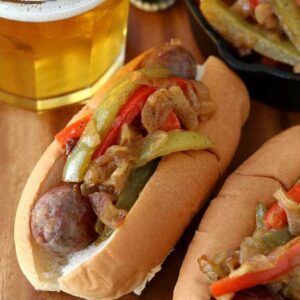 An easy topping for bratwurst that takes these sausage sandwiches to the next level in only minutes. 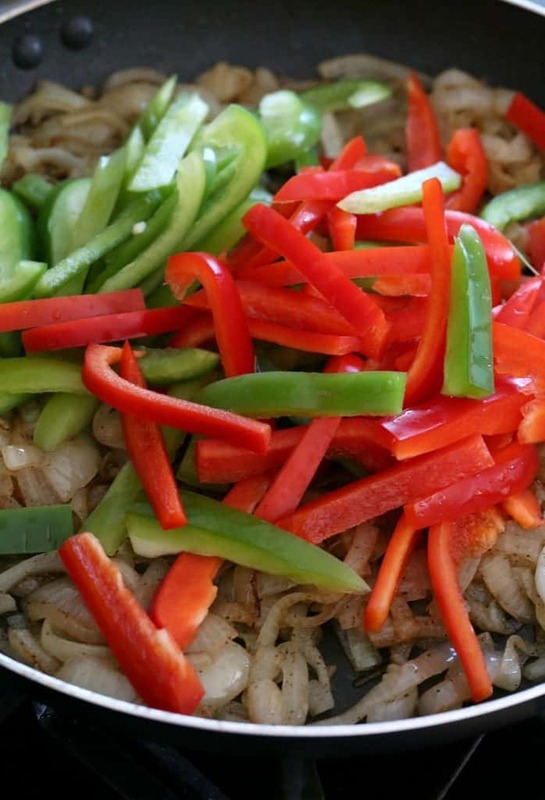 All you need are some sliced onions an peppers to start. Cook them down for about 20 minutes then pour in a beer. I know you’ve got one laying around so go ahead and grab it. Once the beer cooks out, stir in brown some brown spicy mustard and you’re topping is done. How easy is that? 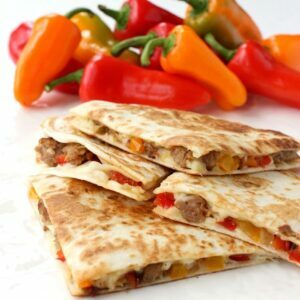 Perfect bratwurst that is ready in minutes and a killer topping to make this sandwich good enough for a party! And when you’re done? The grill plates go right in the dishwasher so there’s no mess to clean up. How cool is that? Definitely worth the $80.00 I spent on this appliance – I can bet we’ll be using it all the time! 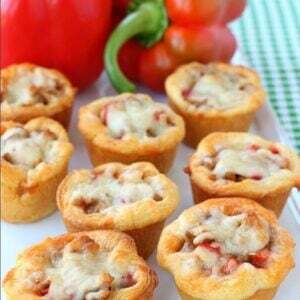 This recipe makes about 4 cups of the topping, enough for 10 sandwiches. 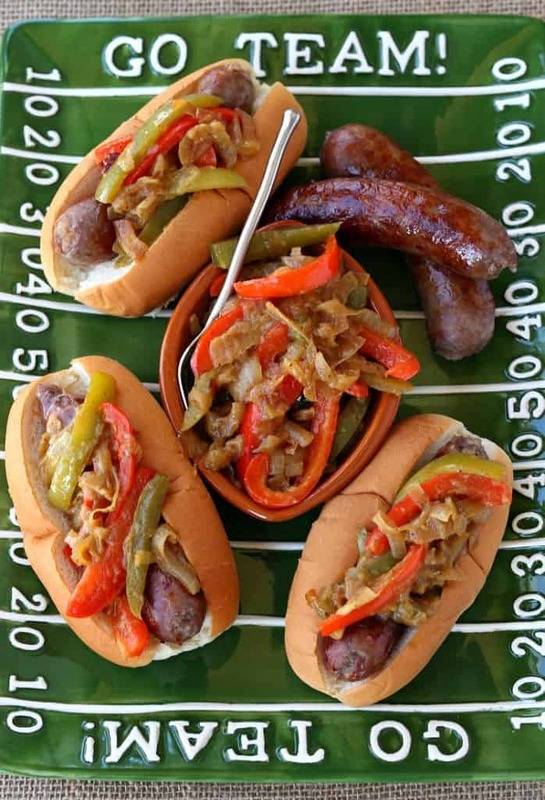 Start the bratwurst in your Johnsonville Sizzling Sausage Grill, they will take 15 minutes to cook. While the bratwurst is cooking you can start the sauce. Heat a large skillet over medium heat with the oil and butter. Add the onions and stir. Cook for 10 minutes. Add the peppers, stir to combine with the onions and cook for another 15 minutes. Pour in the beer, stir and cook for 5 minutes until the liquid is mostly evaporated. Stir in the mustard and keep warm until ready to serve.